I think we’re about ready for Christmas. All three of our grandchildren were with us a couple weekends ago and we let them hand-make all the Christmas ornaments for our tree this year. Marci bought the crafts supplies and let the kids go crazy. We also hung a few ornaments on the tree that our children (their parents) made when they were little. While we don’t do this every year, it’s a great tradition that makes decorating the tree a lot more fun and meaningful. 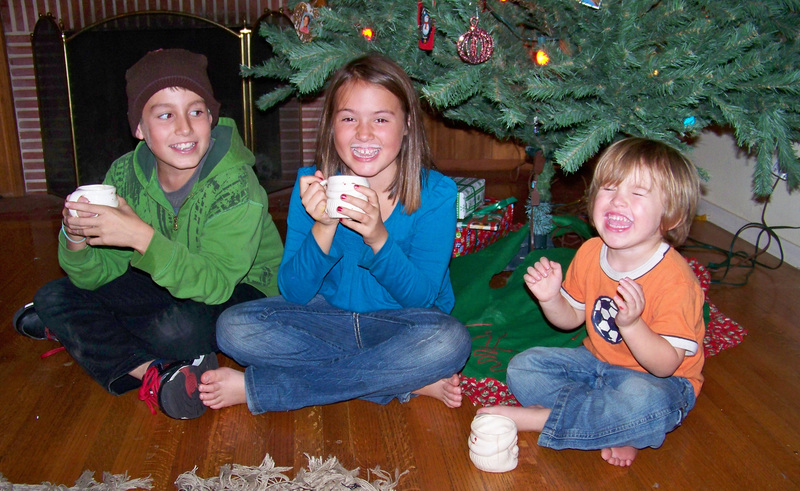 Three gifts under our tree: Nick, Madison and Jack. This entry was posted in Family, Our Grandchildren, Personal and tagged Christmas, grandchildren, Jack, Maddie, Nick, traditions. Bookmark the permalink.